So 2018 already looks set to be an exciting year. 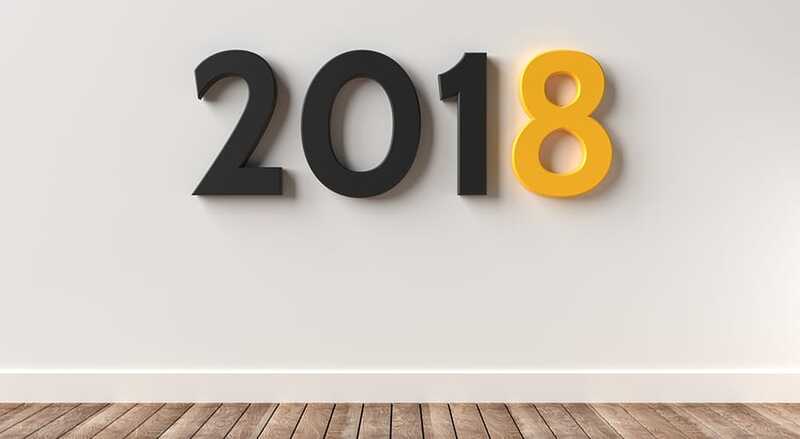 To help you stay on point with your activity over the next 12 months, we’ve put together a list of key insights and trends that will be influencing the market and also some to watch out for in the year to come. There’s still quite a bit of uncertainty in the market both from a political and financial perspective but with the overall outlook beginning to look a little brighter, we expect to see a little more consumer confidence and that’s a good thing for all of us. That said, let’s keep an eye focused on the jobs we still need to be doing as we move forward and – above all – avoid falling into the pit of average by thinking you’ve got it covered when actually all you’ve done is ticked a box. It’s a biggie, so let’s start with this one. Remember all those days of slightly ‘grey-area’ database laws where as long as no-one complained it was pretty much ok to send someone the occasional email, as long as they had once upon a time clicked an opt-in box to receive marketing information at some point somewhere in the dim distant past? As of the 25th of May this year General Data Protection Regulation (GDPR), is here and the risks of vanity-building mailing lists with people that don’t actually want to be on there are quite substantial. A good thing in terms of genuinely useful marketing, but bad news for the numbers guys that like to hide behind impressive stats in meetings with CFOs. For more information on the actual impact and what you need to do, we’ve pulled together top line guide here, GDPR Means What Now? for you to check out and make sure you’re all up to speed and compliant. The main point to note is that sources indicate the efficacy of digital marketing may fall as much as 50% after this date, so make sure you’ve got a backup plan. We’re seeing a real increase in the reversion to brand strategy over brand management. Defining or redefining what your brand is about, working towards a truly motivating vision, and telling your story is a big part of the challenge for 2018. Buying on associated brand purpose has been the key success driver for many leading brands, so with many brands getting this right, those that don’t really need to move on this. Think carefully. Simply taking a selection of motivational words like vision, tomorrow, inspire, create, community and integrity and stringing them into a crafted sentence in isolation will do nothing to enhance the brand. Think carefully about your positioning, it really does matter – and if you look, feel and smell like anyone else, it’s back to the drawing board! With a whopping 48% of consumers valuing experiences more than things, brand experience looks set to continue to grow and grow. People have had their senses dulled by living in the virtual world and are looking for more. More visceral, hyper-sensorial experiences, supported by the raised importance to the adoption curve. People listen to people, not brands – so you’ve got to make sure you’re targeting the guys that people listen to. The watch-out here is to make sure your experiences really deliver. If you are not going to create a memorable experience that delights then consider if you should be doing this. Having a stand at Waterloo isn’t enough. You’ve got to get the experience right and it has to be perfectly delivered. This is a well-established trend but it’s still set to say. Make sure you have your strategy in place, as the price to pay if you don’t is to be stuck in a mainstream environment with generic commoditisation – particularly if you want to drive loyalty with some sectors. So we’ve all spent time reading about the prospect of machines taking over and replacing us all – but it is time to start doing something about it. First think long and hard about where this will REALLY add value to your business, both now and in the future. If you not using machine learning in your SEO or PPC strategy then you’re probably behind the competition on this or at the very least missing an opportunity. With AI being at the centre of all algorithms it’s no longer possible for us mere humans to outsmart the machines. Our only chance is to compete with the machines using our own machine learning technology… complicated huh? Your content needs to scale well and you need to reverse engineer what’s getting the top results. There are now some relatively low cost off the shelf AI tools that can be used to inventory, enrich, validate, select, extract, predict, associate and distil. This all sounds like a big bunch of buzz words to try and sound clever, but this is really only about digesting the content that’s out there, working out your topic clusters and distilling out what people are really into and who is influencing the market. As a follow-on point to the above point: I’m not earning any points for saying that people want more personal interactions with the brands they buy, but the sweet spot here is to bring this to bear and use it to deliver better, more targeted messages. Forget the stats on who opens your newsletters… in reality, they aren’t reading them. Crunch some data and work out who’s doing what, and how, when they want to hear from you – one size does not fit all. If at all possible I would like to try to eradicate one word from every marketer’s phrasebook for 2018 and that’s the word ‘Millennials’. This was quite possibly the most overused phrase in the marketing textbook for 2017. We need to stop thinking that millennials are the answer to everything – if they even exist, they are probably too busy hanging out together in the park engaging with self-generated creative content on their phones to pay any attention. We’re all familiar with the brilliant targeting that can be achieved through social platforms, but there is a downside to using this as your only channel to communicate with your consumers. The more we rely on these channels to build our brands, the more we rely on platforms that we can’t fully interrogate or control. The conversations you have with your customers or consumers are one of the most valuable assets of any company, so it makes sense to ensure you own at least part of this yourself. I’m not suggesting you cut off these very useful channels – far from it – the suggestion here is not to put all your eggs in someone else’s basket. Keep an eye on the future and invest in building your own communication channels, to benchmark efficacy and make sure you own the conversation. So it turns out there really aren’t that many brand loyalists, particularly in low-interest categories. Whilst this revelation may not be a particular ‘light bulb’ moment for many of you, it may surprise you to know that 55% of brand choices are made at the shelf, vs only 29% being pre-planned. This will vary by category but this is the average, so do make your best efforts to integrate those journeys and deliver standout activation in store. The retail apocalypse seems set to continue. Last year we saw arguably one of the strongest years economically we’ve had for a while and consumer confidence beginning to come back, yet still, the numbers of bricks and mortar stores are significantly down, with only 3200 new stores this year and 6800 stores closing. Consumers are asking for more from their in-store experiences; favouring the intimacy of the farm shop to the convenience of the megastore – particularly in our premium sectors, which stand out as the main area to play as the discounters continue to dominate the lower end of the market. I think we’ll all agree that something to break the monotony of the weekly shop and have some great brands activating in store will only serve to improve the experience! At the very least, give people a reason to shop in store that’s more beneficial to them as a shopper over ‘all the delivery slots for this week have gone’. This next point was mentioned in my 2017 predictions but voice activation and automated shopping has grown 23% in the past year and looks set to stay. Now that we’re getting through the initial-adoptor teething problems with Alexa, Siri and Google voice and they are beginning to learn our habits, you need to be aware of this growing trend to adapt accordingly. Make sure your channel plan takes ‘the screenless search’ into consideration, as this will only continue to increase as the technology matures. Hopefully there are some nuggets of insight that you might find interesting in here. We’d love to hear your thoughts on any of the points above. If you’d value an objective opinion on the effect that any of these points may have on your business and marketing plans just drop us a line.